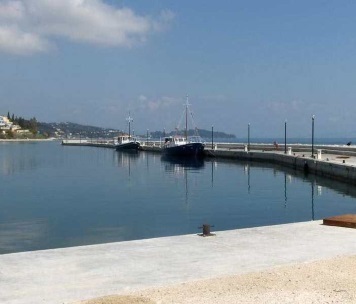 Benitses recent years are characterized by the haven of tourist boats (Marina), a project that has changed the appearance of the area and was the ambition of attracting more visitors. Besides, since the 60s and 70s Benitses were the most famous and most tourist area of the island and not without reason. For some time been Benitses has been the center of nightlife in Corfu, this myth still haunt the name Benitses, today, of course, the reality has nothing to do with the past, Benitses today is mainly a destination for families or couples with more peaceful ... moods, ideal for a relaxing holiday, although the word relaxing sounds strange in Corfu because of the intense social life and the abundance of any kind of events that always happen in this wonderful and vibrant island. Benitses tourism infrastructure is always combined with the natural beauty of the landscape that has an amazing combination of sea and mountains that is difficult to meet elsewhere; the village is leaning in the green mountains of Stavros and Agioi Deka in one side and in the turquoise waters of the Ionian Sea on the other. Tourism infrastructure available today is much better than those of the past, you will find everything that the most demanding visitor will ask for. 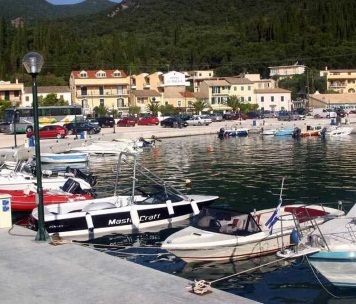 Because of their location in the middle of the island of Corfu, Benitses is an ideal base from which you can easily explore the whole rest of the island. There are many trails leading up into the mountains a must for hiking, the beach is dotted with organized beaches with water sports, lifeguard and all are rewarded with blue flag. Recent archaeological excavations have revealed the ruins of ancient Roman public baths in good condition so that the mosaic floor can be visible, so the region also has archaeological interest. Also here is a sea museum one of the largest in Europe, with a large collection of shellfish and other marine species.